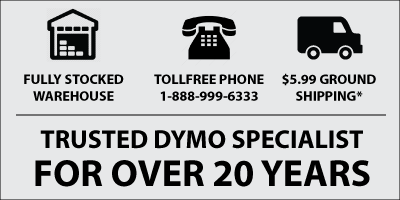 The Dymo LabelManager 160 (LM160) from Dymo was developed with simplicity in mind. That's not to say that this model is a basic one with not many features. What we're saying is that Dymo made labelling a whole lot simpler. The way they did this is by adding some Hot Keys for the most common features. That way, you can type the text you want to print then quickly format it by pressing one/more of the Hot Keys. On other models/brands you need to navigate through a menu just do to simple tasks such as changing font size. At less than $30 the LabelManager 160 is an absolute bargain. It uses 1/4" (6mm), 3/8" (9mm) and 1/2" (12mm) Dymo D1 Label Tapes and is powered by 6x AAA batteries or an optional Dymo 40077 AC adapter.